It has been a while since I have posted here. So I thought that today I would post a couple of our new bags we have in the store. I am really grateful to everyone who follows me and supports my blogs and work. We are going into a busy season and I look forward to creating beautiful handmade art for all our friends and fans. Fall is coming real soon and we would love to create a new leather handbag , tote or special medicine bag for you. 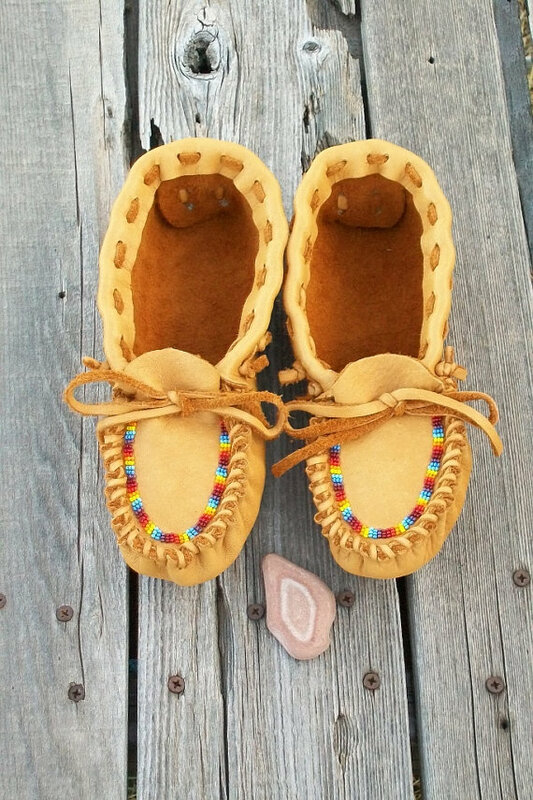 Also we have several different sizes in our baby and children’s moccasins. This chocolate brown leather bag has long fringe that are decorated with glass crow beads. It has a crossbody strap that measures 48 inches. 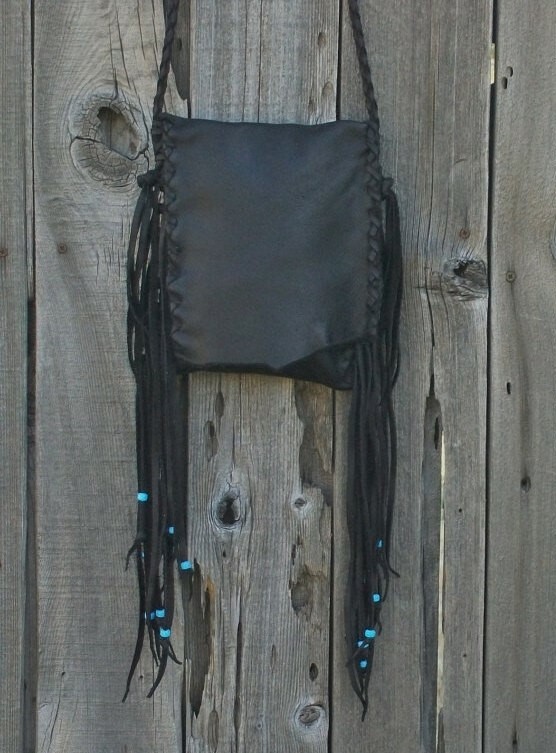 This leather shoulder bag measures 8.5 inches tall x 7.5 inches wide. It is a perfect size for your phone , keys, cards, passport and a few other things. 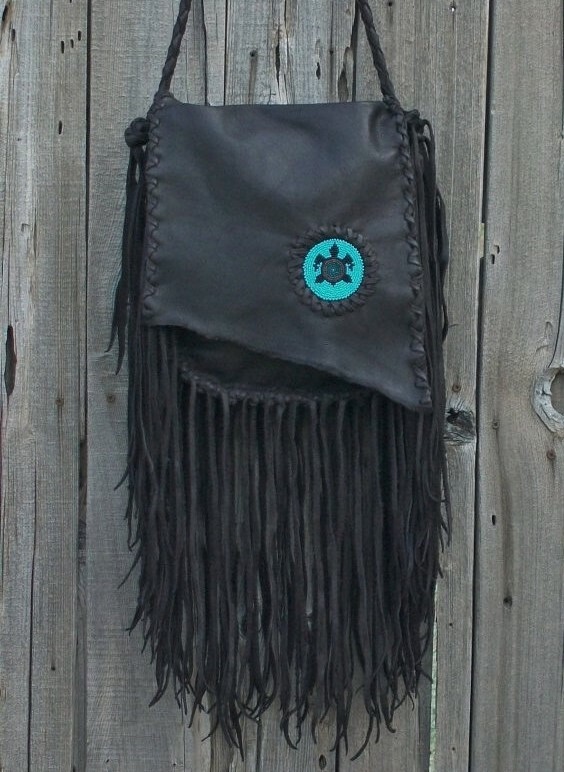 If you are interested in a beaded leather bag with a lot of fringe, take a look at this beaded turtle bag. This designer shoulder bag that can also be worn cross body is a large brown leather bag. The chocolate leather is soft, durable and stunning. The beaded turtle totem is beaded by me. This leather handbag has fringe all around front and back and measures 11 inches tall , 10.5 inches wide and 2.75 inches deep. It’s a great size for an everyday bag. If you would like a different kind of bead work come by and contact us we will be happy to work with you. 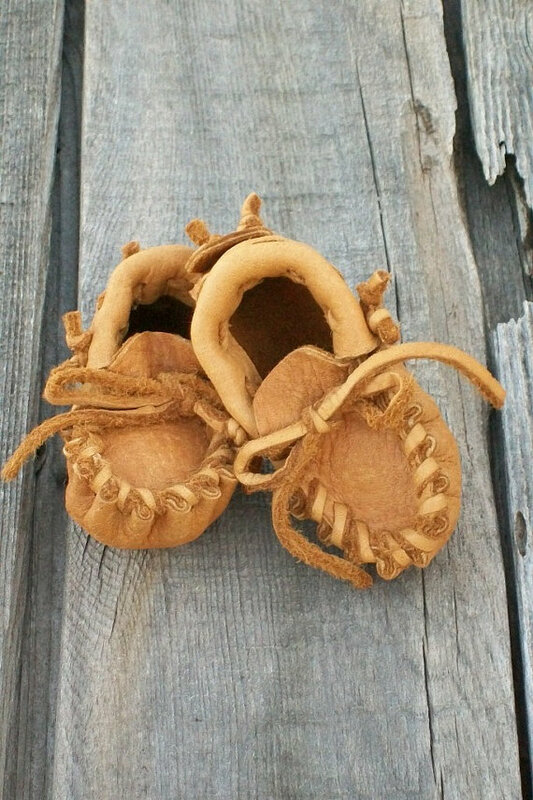 For the children and babies in your life check out our baby moccasins and children moccasins. We have a wide variety of moccasins in different sizes and colors, beaded and plain. Thanks for stopping by and taking a look. If you see something you like come by our shop we are happy to help you.